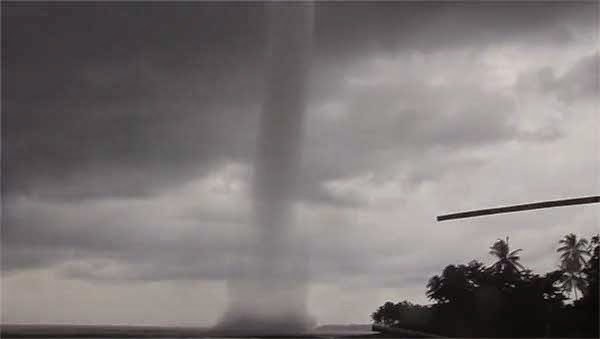 A large tornado that occured Friday afternoon, September 26, in Manticao town in the province of Misamis Oriental, has been caught on video. According to the Facebook page GO Manticao GO 2014, the tornado, which is called buhawi in local dialect, was seen around 4:30 p.m. in said municipality that's located 30 to 45 minutes away from the city of Iligan in Northern Mindanao. Post by GO Manticao GO 2014. In another video taken from a different location, the cloud formation looked like a waterspout as it appeared to be funnel-shaped. 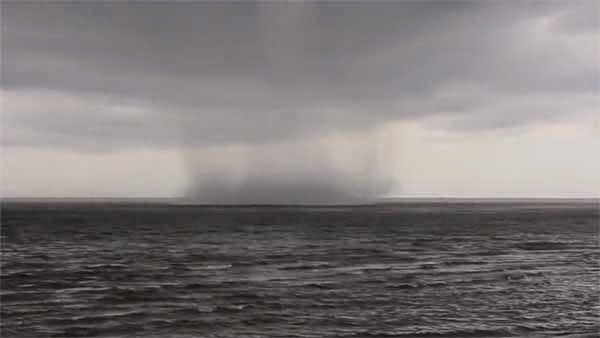 Waterspouts are non-supercell tornadoes over water.